Load your raft in the shadows of 14,000 foot peaks as you prepare to enter the Brown’s Canyon National Monument. This scenic and remote section of river offers one of the most popular rafting trips in the country. You will be surrounded by amazing granite domes as you run through classic whitewater rapids like zoom flume, widowmaker, and the staircase. Not only is this fantastic stretch of river a must for all whitewater enthusiasts, but it is the only way to truly experience the remote beauty of Brown’s Canyon National Monument. This is a beginner/intermediate trip. 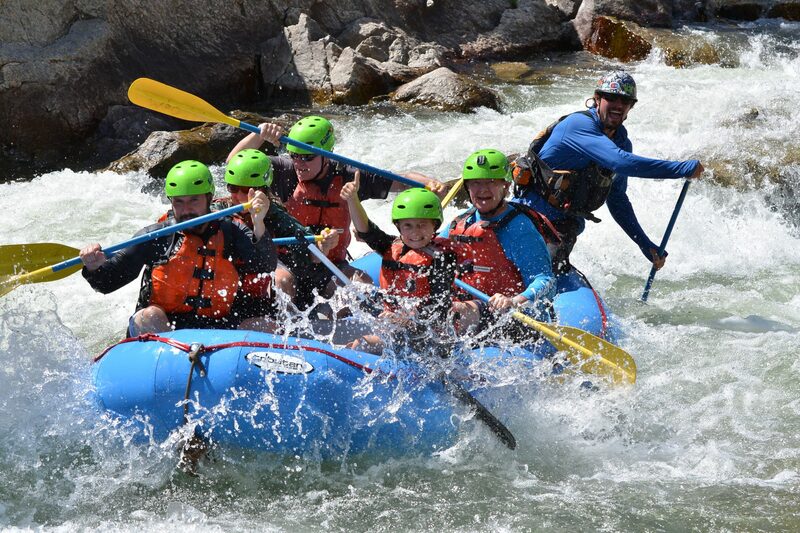 Spend a half day rafting through Brown’s Canyon on the Arkansas River. We launch from our private beach on the river and paddle 9 miles through fun Class II/III whitewater with a beautiful mountain backdrop. Paddling through Brown’s Canyon and Lower Brown’s Canyon on the Arkansas River, you will not only get to experience the stunning scenery of the Canyon but also the exciting rapids of the river, such as Zoom Flume, Widowmaker, The Staircase, Raft Ripper, and Seidel’s Suckhole. We’ll stop along the river to have a “Mountain Mex” lunch, which includes locally made burritos and all the fixin’s.